Every academic establishment goes through the rewarding period of convocations when degrees are conferred on successful students. Wilfrid Laurier is no different, though here in Canada, there is a tendency for shorter ceremonies over a longer period. For about a week, there are two ceremonies a day, one in the morning and one in the afternoon. 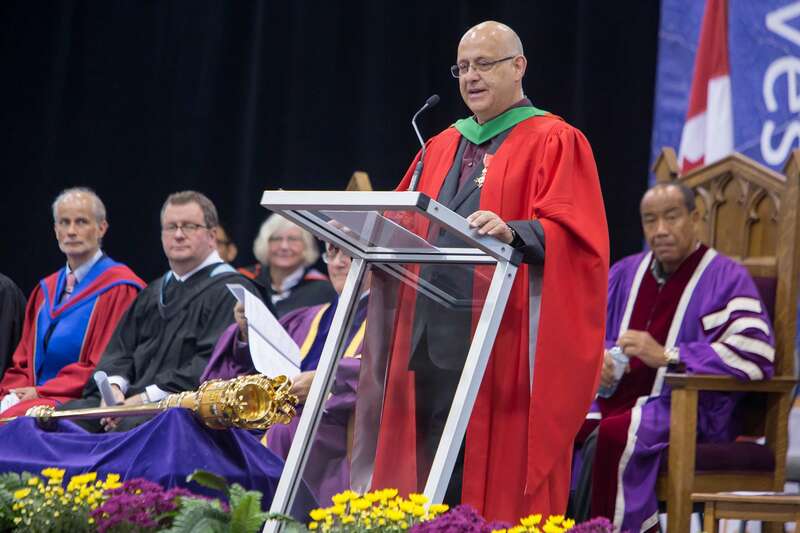 I was pleased to be invited to give the convocation address at one of the events. It is reproduced below. I spent a great deal of thought over it, trying to work out the pitch of the presentation, what was really important, and what the students might even recall. The addresses come before they have to walk across the stage and receive their degrees so I suspect most are not paying close attention. I hope you find it interesting. I was complimented by a couple of the students and their parents afterwards so at least I must have reached five or six people. 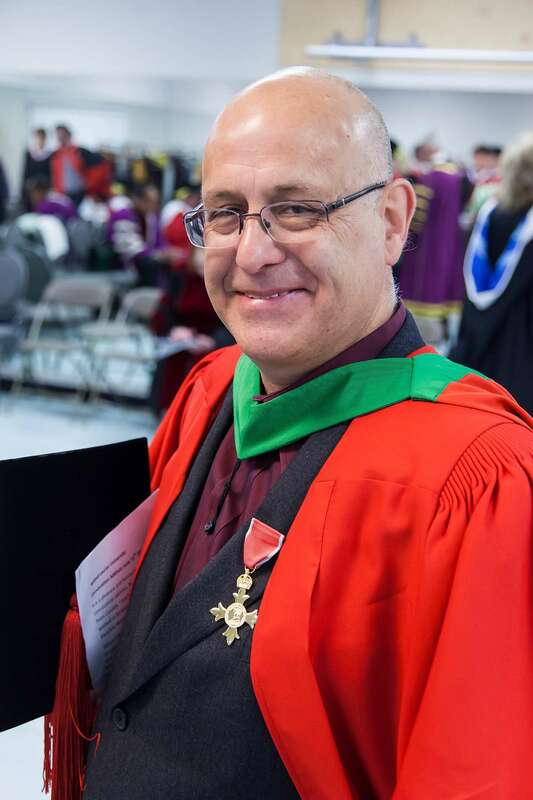 It is a pleasure and honour to have been invited to give this convocation address. As you can hear from my accent I am not from Canada. I was born in Kenya; brought up in Swaziland; and worked in Botswana and South Africa. I moved here from the University of KwaZulu-Natal where the emphasis of my work was on HIV and AIDS. You are all a long way from that challenge, but hold it in your awareness it as you move through your careers. Before I turn to speak directly to the graduands, I want to say something to your guests: specifically your parents and guardians. While each of the students who walks onto this stage is getting a degree that they have earned, we should not forget the people behind them: who have provided support in many ways; financial, moral, even perhaps the occasional well-meant exasperation. You, parents and guardians, should take pleasure and pride in this moment, knowing you were part of the process. Let me now turn back those who are about to have degrees conferred. The theme of this brief address is responsibility: to yourselves, your community and the wider world. I know some of you may have struggled valiantly with your degrees and the circumstances you found yourselves in. Nonetheless, you are an extremely privileged minority. You have studied at Wilfrid Laurier University and earned a degree. You represent the 7 percent of the global population and the 27 percent of the Canadian population who have gone from high school to university. To put this into perspective, in Chad only 35 percent and in Rwanda 57 percent of the population completes primary education. University is a distant dream for all but a tiny number. You can read, write, and above all, think and analyse. You are more likely to get a job, and you will earn more in your lifetime than someone who has not had this opportunity. University graduates will on average earn $1.3 million more during their careers than a high school graduate. That is not to say things will be easy, everyone in this room is aware of the challenges that you will face in the years ahead. But you are starting with the dice already rolling in your favour, in terms of wealth, health and opportunity. You live in a wealthy country. Canada has the 20th highest GDP per capita in the world. The average income is approximately $44,000 as compared with South Africa at $13,000; the lowest in the world is the Central African Republic at just $607 per annum. You live in a healthy society. Infant mortality in Canada is 4.8 per 100,000 births. In South Africa that number is 42, in Afghanistan 135. Maternal mortality is 11 per 100,000 live births, in South Africa it is 140, in Southern Sudan it is 2054. Life expectancy here is 81 years. The global average is 71 years, in Sierra Leone, it is just 46. In Canada, you live in a society where, whether you are male or female, should make relatively little difference to your chances of advancement. Your gender did not mean you were obliged to pick up a gun to fight for a cause you did not necessarily believe in. Your gender did not prevent you from going to school. So what then are your responsibilities? They are to yourselves; your communities and to the world. Let me begin with your responsibility to yourselves. These are physical, mental and spiritual. We only have one go at life, or at least it has not been proven that we get more chances. You need to take care of yourselves. Shockingly, for the first time it is predicted that your generation may have shorter life expectancies than the previous one. This will come about through over-indulgence, seen most flagrantly in the obesity epidemic which leads to many unpleasant non-communicable diseases including diabetes. In Canada, 54 percent of adults are considered overweight or obese, and only 55 percent of adults are physically active. You can choose what to eat and I hope that the choice is kind to yourselves and to the planet. You need to look after your mental well-being, to think about what you do and why, to make sure that you are psychologically ‘fit for purpose.’ And remember there is no shame in seeking help if you need it. In the opening of these ceremonies, we pay tribute to the tribes that occupied this land. I believe they had a sense of spirituality, and we all need to acknowledge and take care of our spiritual well-being. Let me turn now to your responsibility to your community. We are educating you as future leaders. This does not mean you have to stand for political office or necessarily to expect to become a chief executive officer. Leaders come in many forms, but what should distinguish them is a strong moral compass, knowledge of what is right and wrong. As a parent, as a professor, and as an employer I expect this from everyone I deal with. When I used to brief new staff as part of the orientation in Durban, I told them I expected three things of them. The first was to learn and grow as an individual; the second was to contribute, not just to my organisation, but more widely; and the third was to actually enjoy their work. This applies here too. The final responsibility is to our world. I can speak candidly to you – graduates of geography and environmental studies: this is your bread and butter! We are facing the most complex crisis in human history and there is no plan B because there is no planet B. But there is hope. In the last three years, I personally have seen solar panels become the norm on the roofs of houses in the UK and South Africa. It’s a start but not much more. Ontario has just phased in a ban on nicotinic pesticides. There is a global environmental problem that needs global acknowledgement and solutions. In Paris, in December 2015, some hard decisions will need to be made. You can be part of this: make sure your life style is environmentally friendly; be informed, and influence others: hold leadership at every level to account. Be prepared to adapt, choose to be less materialistic. And now to turn to other matters. While it has warmed up in Ontario, I can’t claim it is brilliant weather. Having said that, it has been warm enough to go up onto the roof top and use the gas barbecue provided for residents. It is not yet really warm enough to stay up there and eat. At the moment it is rather cloudy and we’ve had the joy of tornado warnings. Apparently in the event of a tornado, we are supposed to go into the basement or the lowest part of the building you occupy. There is indeed a basement in the Seagram lofts although I have yet to use it for this purpose. What I did achieve though, was to have my winter tyres changed to summer tyres, so the locker we are each allocated in the building is currently being partly occupied by my tyres. It seems rather lengthy process to have to go back and change them again in a few months. I wonder how long or whether there is guidance on this. The academic year is winding to a close and very soon the students will be gone. Already a number of them have taken up internships as part of their degrees and I can only hope that they will be able to find full-time employment as it is, after all, one of the reasons why they undertake this training. There is also talk of starting an undergraduate course at our school. This would in part be a feeder for the MA programmes here as this year the applicant pool was not quite what we’d hoped for. I have finally managed to break my writer’s block to get cracking on the revision of the Very Short Introduction on HIV and AIDS. I am amazed at how much rewriting there will have to be, I had briefly thought that it might be possible to simply update it, but a careful read says that it will have to be largely rewritten and a couple of extra chapters added. I feel very fortunate to have Nick as my research assistant as he is able to help me track down many references and more than this he is becoming increasingly literate when it comes to HIV and AIDS. Unfortunately this building still remains under occupied and I find this rather draining. Being among other people is important to wellbeing as the empty spaces enervate the building. I suspect that this is where the “Dementors” of Harry Potter fame hang about when they are not out on their business. In general it is a dramatic building and it is won awards but the incredibly wide corridors are not conducive to collegiality. The tables which placed in the spaces for students to work at are somewhat exposed and virtually never used. In addition to these casual work areas, there are also lounges with gas fires but no newspapers which I find quite bizarre. I would suggest that one of them be turned into a senior common room – with international newspapers and journals. I went to Ottawa work a while ago. I stopped in Toronto to attend the South African national day celebrations, which was held in a Novotel in the suburb of North York in the city. It was a rather strange place to hold it, and strikingly, many of the participants there were from Zimbabwe. I guess the Zimbabweans cannot afford to have their own day and I’m not certain what they would celebrate. It was a useful opportunity to do some networking. On the Saturday I took the train to Ottawa, a very pleasant journey but one which takes five hours. It is clear that this will not be speeded up until there is some serious attention to the track bed as this seems to be the limiting factor. I found myself staying in the residences of Algonquin College some distance from the town. It was ok: just! A two bedroom place, but the blinds did not close properly. I had to use bedcover from the other room to cover the window. It was a busy couple of days that involved meetings with the IDRC, one of Canada’s main funding bodies, and also the Department of Foreign Affairs, Trade and Development. The key will be to turn the meetings into projects. I was quite taken aback at how spread out Ottawa seemed to be. Going anywhere involved getting on a motorway for some minutes. It is not the small compact town that I remembered, but perhaps that is just the effect of being there last in winter. I took the train back to Toronto and then Kitchener, about 6 ½ hours in total but still much more enjoyable than checking in for flights. I was also able to do a great deal of work. The next trip is to Miami for a meeting of the International Association of Physicians in AIDS Care at the end of June. The one after that is back to the UK and then down to Swaziland and Durban. I have not been to a Waterford Kamhlaba governing Council meeting for some time so this is long overdue. I also want to spend some time in Swaziland looking at how the AIDS epidemic is developing there and collecting the material high need for the next book. This entry was posted in Blog and tagged AIDS, Canada, Convocation, HIV, Wilfrid Laurier University. Bookmark the permalink. Very nice speech to the students, Alan. Very well done! Apropos tire changing, we have found a place that stores the tires so no need lugging the unseasonal ones home.